Hikvision recently announced the release of it’s EXIR infrared technology for Hikvision network security cameras. Compared to conventional IR network security cameras, Hikvision’s high-performance EXIR series delivers the most advanced levels of night-time surveillance available on the market today – with best-in-breed illuminators for any dark environment, indoors or out. By employing the most advanced thin-film, light-emitting technology, Hikvision’s EXIR allows an up-to 30% increase in illuminant efficiency over traditional LED array technology. Furthermore, compared to a traditional light extraction of 750mV, EXIR offers 1050mV, resulting in stronger light for long-range visibility usage. 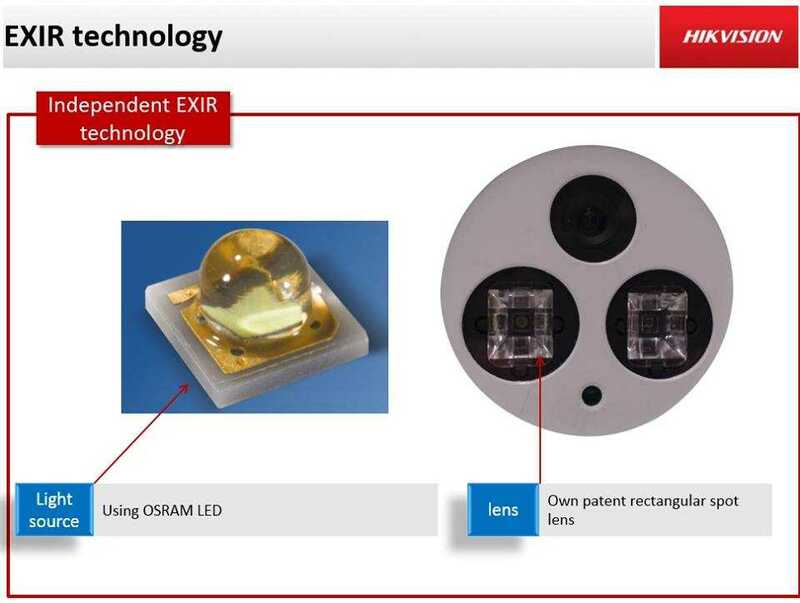 To make the most out of IR LED light, Hikvision EXIR allows cameras to produce LED light in the form of a rectangle in order to fit a screen’s normal size (4:3 or 16:9). This additionally helps improve LED utilisation efficiency and reduce light pollution in the surrounding environment. Hikvision’s EXIR technology permits uniform IR illumination. This eliminates traditional LED lens issues, such as over-exposure at the centre of images, and darker areas at corners. In addition, excellent heat dissipation, longer lifespan, and greater energy savings are but a few of the benefits that Hikvision EXIR brings.